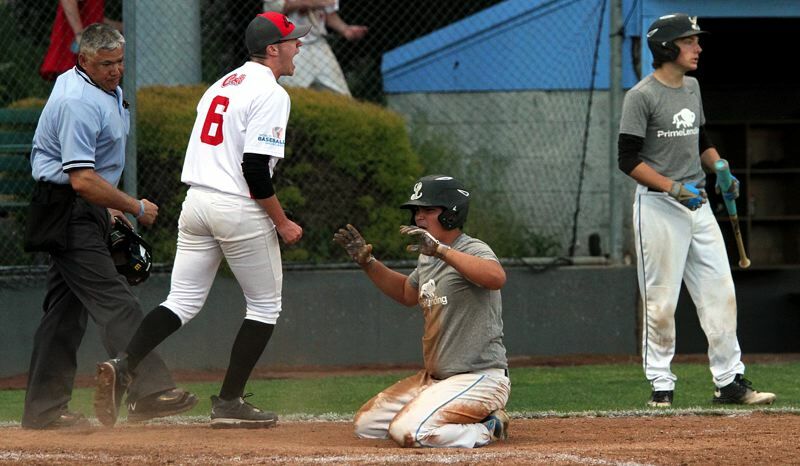 The Lakeridge baseball team felt right at home on Tuesday. The Perth Colts, competing some 9,200 miles away from their home base in Australia, felt somewhat less so. But once Lakeridge's Chris Simons delivered the day's first pitch, it was just baseball. 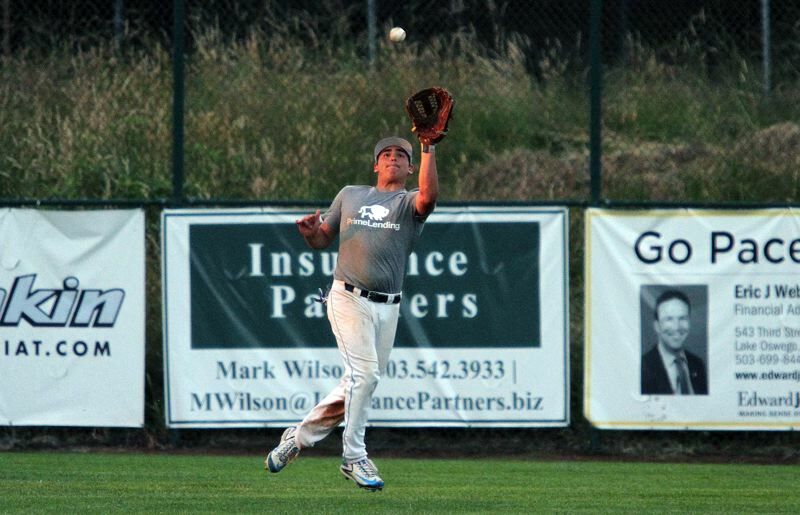 In the end, the Pacers rallied from a two-run deficit to beat the Aussies 5-4 at Abramson Field in a precursor to this week's Firecracker Classic tournament. After Lakeridge scored all five of its runs in its final three at-bats, Lakeridge's Connor Utech explained his team's late surge. "I think we're more of a fastball hitting team and the first guy threw more curveballs so once that second guy came in, he was throwing a little harder … so it was a little easier for us to hit," said Utech, who drove in the game-winning run with a two-out single in the bottom of the sixth inning. "After that big hit by Casey (Smith), the double to the wall, that really got us started," said Lakeridge shortstop/pitcher Colin Hardy, who picked up a save with a scoreless seventh inning. "That energy in the dugout, that's what carried us through. It's big." For their part, the Colts were just enjoying the ride, playing their 11th game in just more than a week and their second of the day after driving eight hours north from Eureka, Calif., earlier in the day. "I think the competition today was pretty good, especially since some of these boys have probably never played against Australians before," said Perth pitcher Sam Collier, who took the loss in relief. "We wanted this win," added pitcher Josh Duncan, who threw five innings, allowing four runs on five hits, two walks and one hit batter while striking out four. "We came out and we were aggressive and I think they got a shock." After two scoreless innings, the Colts broke through for the game's first run in the top of the third. Cooper Paulino kicked things off there with a leadoff triple to left field off Pacers' starter Chris Simons, then scored when teammate Kenji McCarthy grounded out to Hardy at shortstop. After another scoreless Lakeridge at-bat — Duncan allowed just one baserunner in the first three innings — Perth scored again in the top of the fourth to make it 2-0. Lachlan Brear led off with a walk, moved to third on a Lakeridge error, then scored when Luke Passmore singled to right and ended Simons' day. The Pacers finally got on the scoreboard in the bottom of the inning when Reece Smith reached base on an error with one out, took second on another Perth error, and scored on Trent Allen's bloop single to right to make it 2-1. Then, after Lakeridge reliever Riley Wall escaped a bases-loaded, one-out jam in the fifth, the Pacers' bats took over. Smith led off with a double to left field and the Pacers loaded the bases when Harrison Brown was hit by a pitch with one out and Teddy Kuhn walked. Jacob Groman came through next with a bad-hop single past Perth second baseman Darian Noll to make it 2-2, Smith hit a sacrifice fly to plate Brown and Wall made it 4-2 with his own run-scoring single to right. The Colts weren't done yet, though. In the top of the sixth, Jacob Taormina reached base when he was hit by a pitch with one out, Paulino followed with a single to right, and Blade Hayter then added a soft two-run single to right that tied the game at 4-4. Undaunted, Allen led off the bottom of the frame with a double to left off Collier, advanced on a Tristin Bunkers bunt and scored the game-winning run on Utech's line-drive single over leaping Perth shortstop Passmore. "The main thing we've struggled with during the regular season was our energy, but we managed to pull it together a little bit and rode it out 'til the end," said Simons, who threw 3 1/3 innings, allowing two runs on two hits and four walks while striking out two. "I kept it close for the team and they came back for me and pulled it out." "What I'm going to take away from this game is we came in and gave them a big shock," Duncan said of his team's early lead. "This time, I hope they got a shock because that was my personal goal." For the game, Paulino went 2 for 4 and scored twice to lead Perth. For Lakeridge, Allen went 2 for 3 scored once and knocked in one, while Groman went 2 for 2 and drove in one.